Tell me about it. I had my truck serviced over at the Toyota place Saturday and when I left there, the traffic was backed up all the way from the Mall (I assume) to the bottom of the hill on the other side of the Toyota place. I got in the traffic, merged over and did a U turn in front of the Target and went back towards Athens. That was ridiculous traffic. 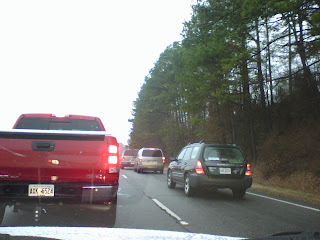 I avoided Epps Bridge Parkway as well, I bet it was a mess as well.